Starting this fall, every student at Olds College in Olds, Alta., will have to complete a Farmville-esque iPad game in order to graduate. Students of all ages across the country are increasingly being asked to play video games as part of their course requirements. 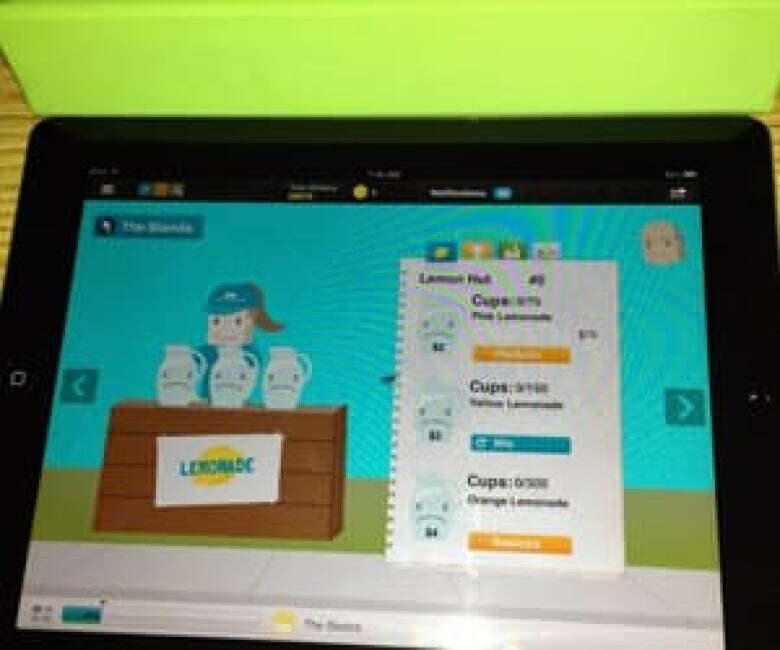 Starting this fall, in order to graduate, every student at Olds College in Olds, Alta., will have to complete an iPad game in which they open a virtual lemonade stand and gradually build it into a business empire. 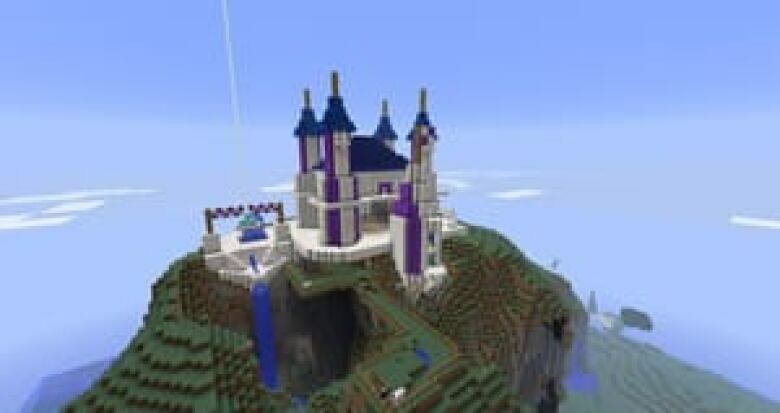 Video games, once considered entertainment, are increasingly becoming part of required coursework at all levels of education, complementing traditional learning tools such as problem sets and books. At Olds College, the Farmville-esque game Lemonade Stand is a central part of the new mandatory Discover Entrepreneurship course. "What we've done is take the things that make computer games so addictive and apply them to education," said Toby Williams, the college’s director of entrepreneurship and international development. Olds College was able to offer this course in part because the town now has ultrafast internet that many city dwellers would envy. Read more. The college wanted to ensure all of its students were trained in entrepreneurial skills. Williams and her colleagues thought a game might be able to offer the hands-on approach that the college emphasizes. "It's not a real-life situation, but it's close to that." The college partnered with two Calgary-based businesses: The GoForth Institute, an online small business training company, which provided the course content; and game developer Robots and Pencils, which built the app. "This is the first time that something like this has been tried in North America, as far as we know," said Williams of the project, which cost more than $2 million to develop. Heather Hood, 33, who is in her last year of a Bachelor of Applied Science in horticulture at Olds College, was one of 600 students who tested the app over the summer. She worked through 12 modules on topics ranging from business planning to marketing to cash flow. Completing a module unlocks achievements in the game. Finishing the marketing module, for example, gives the students the ability to buy signs and start marketing to customers. "I was actually disappointed when I finished it," recalled Hood, who described the course as well-written. She said she liked the fact that she could work at her own own pace. At the same time, the game displayed other students' achievements, pressuring her "to not get behind the pack." Hood said she thought the game was fun, but isn’t sure about the value of the virtual "practical" experience it provided. She also had mixed feelings about its central role in the course. "There were times when I found it super-annoying and just wanted to whiz through the gaming part so I could get the reading done," she recalled, "and there were times when I wanted to see how much money my lemonade stand had made." But she said the experience was fun, and might appeal to students younger and more into gaming than herself. "If the outcome is learning in the end, then why not?" says Katrin Becker, an adjunct professor at Mount Royal University who researches and designs educational video games. She added that games can provide students with learning experiences that could be "painful or dangerous or expensive" in real life — such as running their first business or performing surgery on an animal. "In a game, they can find out what happens if you do it wrong without any negative consequences to the real world," Becker said. "And that's really very valuable." Nevertheless, game-based learning modules are still are far less popular in the classroom than traditional methods. "The shift that needs to happen … is the reawakening of the idea that learning can and should be fun and entertaining," she said. Darren Wershler, and English professor at Concordia University in Montreal, acknowledged there are still relatively few course where games appear regularly. "But I think that will start changing fairly dramatically," he added. How else can video games be used as teaching tools? In Wershler’s contemporary Canadian fiction class at Concordia University in Montreal, video games aren't just a teaching tool. They have been part of his "reading" list for the course for several years. 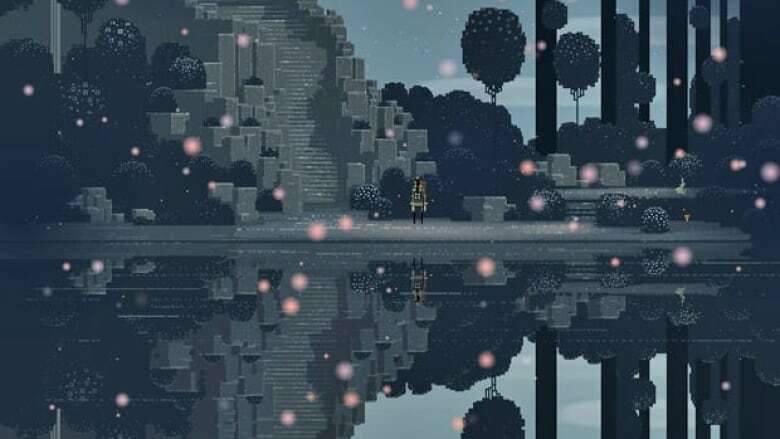 This is the second year that students will be assigned to play the indie adventure game Superbrothers: Sword & Sworcery, made by Toronto-based Capybara Games, in addition to reading the poetry collection Portable Altamont by Brian Joseph Davis and the first volume of Lee O Malley's comic book series Scott Pilgrim's Precious Little Life, among other works. "Students, I think, are excited to see the things that are important to them reflected in their coursework," Wershler said. Not all of them react to it the same way, he said, but roughly the same proportion of the class ends up playing the game as would read the information if it was delivered to them in a book. Emma Healey, 22, an English literature student who took Wershler's course last year, admitted that at first, "there was a part of me that was like, 'Oh, a fun gimmick, you're getting people to play video games in your class so that your class is cool." Healey eventually played the game and found it to be a valuable educational experience. "It definitely broadened my thinking about what counts as literature." The rise of video games in the classroom isn’t limited to post-secondary institutions. Toronto elementary school teacher Liam O'Donnell plans to introduce Minecraft, a popular computer game published by Stockholm-based Mojang, that allows the player to design, build and explore virtual worlds, to his Grade 1 class at Withrow Public School this year. The open-ended game game allows players to do everything from fight each other with swords, to build castles, to fall into lava pits if they take a wrong turn. O’Donnell had great success using the game, which he himself loves, to help students in Grade 4 to 6 who came to him for special help with reading and writing over the past few years. He found that basing writing exercises on the students' experiences in the game helped overcome the lack of confidence that made many of them refuse to even try writing. "They were all so filled with their own stories." And the games can spawn unexpected learning experiences. One of his Grade 5 students became fascinated by lava in the game and wondered what would happen when lava and water touched each other. O'Donnell encouraged him to approach the question scientifically, to make a prediction and figure out how he would test it in the game. "He then eventually went off … found out what happens in-game and was amazed, and then wrote up his results," O'Donnell recalled. "And then he asked me, 'Is that what happened in real life?'" With further nudging, the boy — who originally had resisted writing at all — did more research and authored a report about underwater volcanoes. That may all be encouraging to teachers, but incorporating games into coursework can be more challenging than it looks. Wershler said he is mindful of the fact that many games take longer to complete than a book, can be expensive and sometimes must be played on expensive technology. Because of that, he chooses older, cheaper games that can be downloaded and played on a computer or mobile device. Becker said commercial games can also be challenging for teachers, because they don’t come with lesson plans. "Teachers don’t have time to develop their own courseware," she said. Despite the difficulties, Becker said she is a huge proponent of games in education, as they provide new options for learning. "It’s yet another tool to use," she said. "And I think the richer the environment, the better off we are." Does handwriting have a place in today's tech-driven classrooms?